In a private ceremony on 5 November 2018 at Rideau Hall, in Ottawa, the four co-founders of the non-profit organization Taking Root were presented with the Meritorious Service Cross from the Right Honourable Julie Payette, the Governor General of Canada. Kahlil Baker (UBC Forestry PhD Graduate), Samuel Gervais, Laura Howard and Brooke van Mossel-Forrester founded Taking Root, a not‑for‑profit organization that uses reforestation to reduce the impact of climate change, restore ecosystems and promote economic development among farmers in Nicaragua. By working to reforest more than 1 500 hectares, they have helped to create thousands of jobs and improved conditions in nearly 70 local communities, while offsetting carbon emissions equivalent to the annual emissions of more than 90 000 cars. Taking Root is a pioneer in leveraging the forest carbon offset industry to promote economic development amongst smallholder farmers in Central America. As a not for profit, our mission is to use reforestation as a tool to mitigate climate change, restore ecosystems and improve livelihoods. This is achieved by encouraging smallholder-farming families to reforest the under-utilized parts of their farms using native tree species in exchange for direct payments over time as the trees sequester carbon from the atmosphere. These carbon sequestration services are then marketed and sold directly within Canada and through channel partnerships in Sweden, Germany, Switzerland, England, the USA and Spain. Her Excellency presents the Meritorious Service Cross (civil division) to Kahlil Baker. 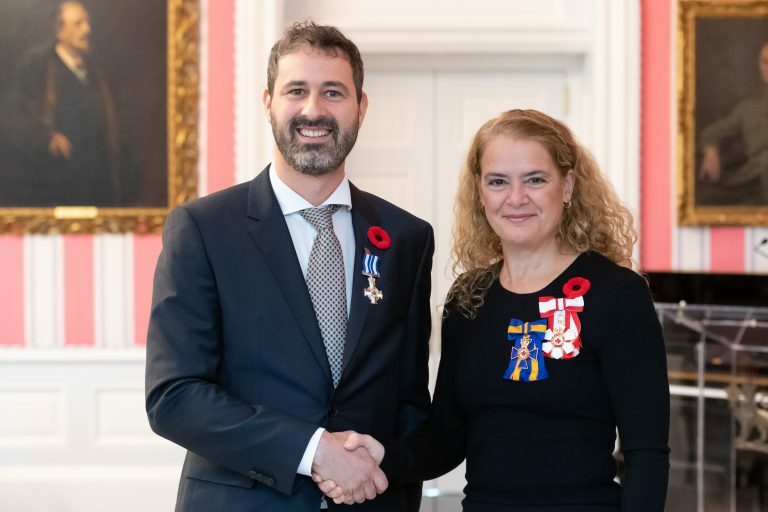 Her Excellency the Right Honourable Julie Payette, Governor General of Canada, presented honours to Canadians in celebration of their exceptional achievements. 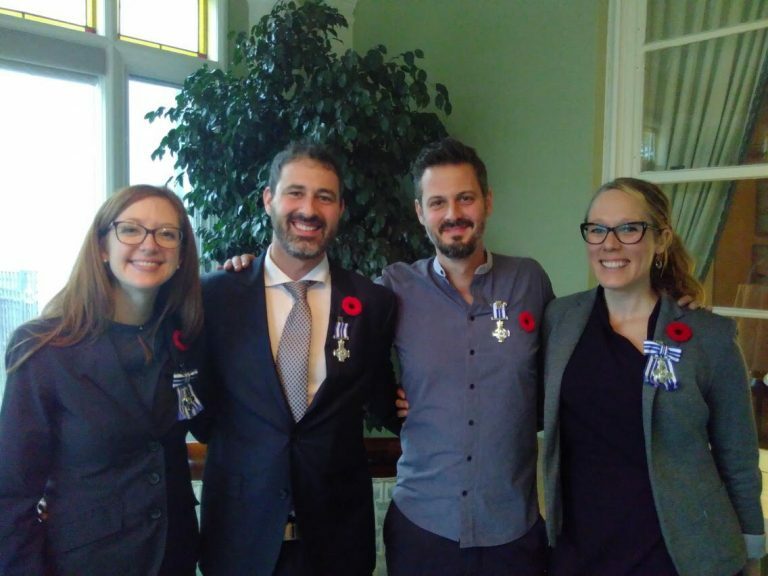 The ceremony took place at Rideau Hall on November 5, 2018. Son Excellence présente la Croix du service méritoire (division civile) à Kahlil Baker. Son Excellence la très honorable Julie Payette, gouverneure générale du Canada, a remis des distinctions honorifiques à des Canadiens en l’honneur de leurs réalisations et contributions exceptionnelles. La cérémonie a eu lieu à Rideau Hall le 5 novembre 2018.